Ozturk K, Soylu E, Gokalp G, Topal U. Risk factors of pneumothorax and chest tube placement after computed tomography-guided core needle biopsy of lung lesions: a single-centre experience with 822 biopsies. Polish Journal of Radiology. 2018;83:407-414. doi:10.5114/pjr.2018.79205. Ozturk, Kerem, Esra Soylu, Gokhan Gokalp, and Ugur Topal. 2018. "Risk factors of pneumothorax and chest tube placement after computed tomography-guided core needle biopsy of lung lesions: a single-centre experience with 822 biopsies". Polish Journal of Radiology 83: 407-414. doi:10.5114/pjr.2018.79205. Ozturk, Kerem et al. "Risk factors of pneumothorax and chest tube placement after computed tomography-guided core needle biopsy of lung lesions: a single-centre experience with 822 biopsies." Polish Journal of Radiology, vol. 83, 2018, pp. 407-414. doi:10.5114/pjr.2018.79205. Computed tomography-guided core needle lung biopsy (CT-CNB) is a well-known method to diagnose pulmonary lesions, with a diagnostic accuracy of 64-97% ; nevertheless, pneumothorax is a common complication, occurring in 8-69% of patients . Mostly, pneumothorax regresses spontaneously without an intervention; however, a small group of patients may require chest tube placement . Several previous studies suggested that various variables could affect the incidence of pneumothorax and chest tube placement, with some conflicting results for the variables of needle entry angle, number of pleural punctures, duration of the procedure, location of the lesion within the lung, emphysema around the lesion, and depth from pleura to the lesion [4-6]. Recognising the predictive variables is substantial to reduce certain risks for the procedure . Therefore, the purpose of our study is to determine the predictor variables of pneumothorax and chest tube placement following the CT-CNB in a single centre with a large patient population. 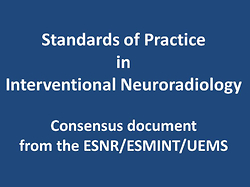 The protocol of this retrospective study was approved by the Institutional Review Board. Written, informed consent was not required because of the retrospective nature of the study. A total of 872 patients underwent CT-CNB between January 2001 and October 2006 in our department. Twenty- one mediastinal lesions were excluded because they did not require the needle path to traverse through the aerated lungs. Thirty-eight patients undergoing only a needle aspiration biopsy were also excluded. The remaining 813 patients who underwent a CT-CNB with an 18-gauge non-coaxial needle (646 men and 167 women; age range: 18-90 years; average age: 59.8 years) were evaluated. Seven patients underwent repeated biopsies. Repeated biopsies (five patients had two biopsies, and two patients had three needle biopsies) were considered to be new procedures because the selected variables were different in each procedure. All procedures were performed percutaneously under CT (Somatom Emotion; Siemens Healthcare, Forchheim, Germany) guidance by junior residents with a mean experience of five biopsies and senior residents with a mean experience of 25 biopsies, under the supervision of a chest radiologist with 20 years’ experience, who also performed some biopsies. Our exclusion criteria were lung lesions 5 mm in greatest diameter, patients who could not follow verbal or visual instruction, and patients or family members who could not accept the procedure-related risks. The patients were placed in the supine, prone, or lateral positions, and CT scans were obtained to target the lesion. If possible, needle paths were chosen to not cross visible bronchi, interlobular fissures, large vessels, bullae, and emphysematous lung tissue. Localisation of the needle entry utilised CT images with laser lighting and skin markers. After a brief explanation of the steps involved in percutaneous needle lung biopsy, the patients were instructed to stay calm, to breath shallowly, and to abstain from talking during the procedure and during the observation period. No conscious sedation was used. All patients received local anaesthesia with subcutaneous injections of prilocaine hydrochlorate (Citanest 2%, AstraZeneca, Sweden). After the administration of a local anaesthetic, the non-coaxial core needle was advanced directly in a step fashion to obtain the specimen. Specimen acquisition was repeated until the radiologist considered it sufficient, due to the absence of an on-site pathologist. Cutting-needle biopsies were performed using 18-gauge non-coaxial system (Meditech Inc., Watertown, MA 02172, USA). Immediately after the procedure, a CT scan was obtained to determine the presence of the pneumothorax. Patients were placed on a stretcher with the puncture site down and were followed up for 2 h. The patients were instructed to breathe calmly and abstain from talking, coughing, and forced breathing. Chest radiographs were obtained at the end of the 2-h period. If pneumothorax was not present, the patient was sent home with instructions. If pneumothorax was detected in the control chest radiographs, the patient received oxygen via a facial mask for 2 h if he/she was asymptomatic. Placement of a chest catheter or tube was considered if the patient became symptomatic or if the pneumothorax was progressive. Patient- and procedure-related data were collected using a standardised data form. Individual data were entered into an excel sheet on the computer. Data that were missing from or not mentioned in the standardised data form were considered to be not present. Patient-, lesion-, and procedure-related variables were acquired to determine the risk factors of pneumothorax and chest tube placement. The risk factors included: (a) patient-related risk factors such as gender, age, and patient position (supine, prone, or lateral decubitus) during the procedure and severity of pulmonary emphysema around the lesion; (b) lesion-related risk factors such as size, location within the lung (upper, middle, or lower lung regions), and contour characteristics on CT (smooth, blurred, or spiculated); and (c) procedure-related risk factors such as presence of atelectasis, pleural tags and fissures in the needle tract, length of the aerated lung parenchyma crossed by the needle, needle entry angle, number of pleural punctures, experience level of the operator, and duration of the procedure. The distance from the pulmonary lesion to the pleura was estimated as the shortest distance on axial CT scans. The depth was considered to be 0 cm in lesions directly in contact with the pleura. The needle entry angle was the acute angle between the needle and the pleural surface. The lung was arbitrarily divided into three equal zones: upper, middle, and lower. The duration of the procedure was defined as the interval between the first CT image obtained to determine pleural passing and the first CT image obtained to check the presence of the pneumothorax. Emphysema around the lesion was scored as grade 1, 2, or 3 using the Goddard classification , which is a visual scale in which the areas showing vascular disruption and low attenuation values are scored for slices including the lesion. Emphysema around the lesion was considered grade 1 for ≤ 25%, grade 2 for 25-50%, and grade 3 for > 50%. All statistical comparisons related to the risk factors of pneumothorax and chest tube placement were performed by using the software of Statistical Package for the Social Sciences (SPSS, version 23.0; SPSS, Chicago, Ill). Receiver operating characteristics (ROC) analysis was performed by using an analysis program (MedCalc for Windows, Ostend, Belgium). Descriptive statistics were given as mean ± standard deviation for continuous variable and count as a percentage for the categorical variable. Gender was compared by using Pearson’s c2 test, and Student’s t-test was used for the patients’ ages. The ROC analysis was utilised to assess the optimal cut-off value for the numerical variables such as age, lesion size, length of the aerated lung parenchyma crossed by the needle, the needle entry angle, number of pleural punctures, and procedure time (minimal false-negative and false-positive results) for the risk of pneumothorax. The risk factors of pneumothorax and chest tube placement were estimated by utilising the lesions as a sampling unit. A total of 822 lesions were categorised into two groups related to the presence of the pneumothorax. Then, the pneumothoraces were divided into two subgroups according to whether a chest tube was inserted. The variables were compared between the groups using univariate analysis with the two-sided Student’s t-test for numeric values and the chi-square test or Fisher’s exact test for categorical values. Afterward, the variables that were found to be significantly different by univariate analyses were tested for multivariate logistic regression analysis to investigate the independent risk factors for the pneumothorax and those for the requirement of chest tube placement. An odds ratio (OR) > 1.00 indicated a higher risk of pneumothorax or the requirement for chest tube placement. A p value < 0.05 was considered to be statistically significant. From January 2001 to October 2006, 813 patients (646 men and 167 women; range: 18-90 years; mean: 59.8 years) were referred to undergo CT-CNB. Five patients were referred for biopsies twice, and two patients were referred for three biopsies. Consequently, the hospital records and images of 813 consecutive cases of CT-CNBs were retrospectively analysed. The lesions were in the upper lung lobe in 501 patients (60.9%), middle lung lobe in 37 patients (4.5%), and lower lung lobe in 284 patients (34.5%). The mean size was 52 ±25.7 mm (range: 8-150 mm). The average depth from pleura to the lesion was 10 ±15 mm (range: 0-70 mm). The mean needle path angle was 76 ±13.8° (range: 10-90°). A total of 127/822 biopsies (15.4%) had pneumothorax after CT-CNB (Figure 1); of those, 29/127 procedures (22.8%) with pneumothoraces required a chest tube placement. From the results of univariate analyses, the significant variables of pneumothorax were smaller lesion size (p = 0.003), supine and lateral decubitus position (p < 0.001), greater lesion depth (p < 0.001), severity of pulmonary emphysema around the lesion (p = 0.001), needle entry angle greater than 75° (p = 0.009), needle path crossing the fissure (p < 0.001), and a path that skipped the atelectasis (p < 0.001) or pleural tag (p < 0.001). From the results of multivariate analysis, the significant independent risk factors were smaller lesion size (OR = 1.75; 95% CI: 1.28-1.98; p = 0.009), supine and lateral decubitus position (OR = 2.42; 95% CI: 1.93-2.67; p < 0.001), greater lesion depth (OR = 1.93; 95% CI: 1.54-2.24; p = 0.001), severity of pulmonary emphysema around the lesion (OR = 2.51; 95% CI: 2.10-2.76; p < 0.001), needle path crossing the fissure (OR = 4.12; 95% CI: 3.05-4.88; p < 0.001), and a path that skipped the atelectasis (OR = 2.86; 95% CI: 2.16-3.05; p < 0.001) or pleural tag (OR = 2.22; 95% CI: 1.87-2.49; p < 0.001) (Tables 1-3). From the results of univariate analyses, the significant risk factors for chest tube placement were prone position (p < 0.001), less experienced operator (p < 0.001), severity of pulmonary emphysema around the lesion (p < 0.001), spiculated contour of the lesion (p = 0.012), and greater lesion depth (p = 0.001). From the results of multivariate analysis, the significant independent risk factors were the prone position during the procedure (OR = 2.82; 95% CI: 2.18-3.22; p < 0.001), less experienced operator (OR = 1.94; 95% CI: 1.57-2.21; p = 0.001), severity of pulmonary emphysema around the lesion (OR = 2.30; 95% CI: 1.98-2.51; p < 0.001), and greater lesion depth (OR = 1.71; 95% CI: 1.39-2.04; p = 0.008) (Tables 1-3). Emphysema was not detected (grade 0) in 615 of the lesions. Of those, 64 (10%) were complicated by pneumothorax. Pneumothorax developed in 27% of the grade 1 (34/126), in 35% of grade 2 (17/49), and in 37% of grade 3 (12/32) emphysema. A chest tube was placed in eight patients with grade 0 emphysema (12%), eight patients with grade 1 (23%), eight patients with grade 2 (47%), and five patients with grade 3 emphysema (42%). We identified only one case of pneumothorax when atelectasis (1/18) was present, and two cases of pneumothorax when the pleural tag (2/22) was present in the needle trajectory (p < 0.001). However, the pneumothorax was significantly higher when the needle passed through the fissure (14/22) (p < 0.001) (Table 3). The lesion contour, gender, age, location of the lesion, procedure time, number of pleural punctures, and needle entry angle were not related to the increased risk of pneumothorax and chest tube placement (p > 0.05). CT-guided core needle biopsy is a reliable method to distinguish benign from malignant pulmonary lesions and is a widely accepted technique with low complication rates [9,10]. Pneumothorax is the most common complication of percutaneous lung biopsy, with a rate of pneumothorax requiring chest tube placement ranging from 1.6% to 28% . In our study the pneumothorax rate was 15.4%, and a chest tube was placed in 22.8% of pneumothoraces, which correlated well with previously reported studies . In our series, supine and lateral-dependent position during the procedure strongly correlated with a higher pneumothorax rate and inversely correlated with chest tube placement rate. Prone position during the procedure significantly decreased the pneumothorax rate independently. Differences in pneumothorax rate with the position of the patient could be explained by the discrepancies of chest wall motions during respiration. The anterior and lateral chest walls could have an increased motion during respiration in comparison with the posterior chest wall, and it may be related to the increased lung parenchymal-pleural disruption due to increased needle movement . Another factor that may have contributed to the low rate of pneumothorax observed in the present series was the placement of the patient in a puncture-side-down position after the biopsy. Such a position has been shown to significantly decrease the number of pneumothoraces and the rate of chest tube placement [14,15]. Reduction of air delivery to the puncture site might help to prevent pneumothorax development. As a matter of fact, if pneumothorax developed after the first pleural puncture in the prone position during the procedure, the risk of pneumothorax progression and the chest tube placement rate could be higher, and consequently the repeated pleural punctures could be more dangerous for the progression of pneumothorax. To our knowledge, the importance of positioning during the procedure has not been investigated specifically for the puncture-site-down technique, although Miller et al. demonstrated a higher pneumothorax rate with an anterior needle approach in six of 50 biopsies and Ko et al. revealed a higher pneumothorax rate with supine position. There was a strong correlation between the pneumothorax risk and needle trajectory that crosses a major lung fissure (14/22) (p < 0.001). In our series, pneumothorax developed in one of 18 procedures in which the needle passed through atelectasis and in two of 22 procedures in which the needle passed through a pleural tag. Generally, a path that skips lung fissures or needle trajectory that crosses an atelectatic lung tissue/pleural tag could be preferred to decrease the development of the pneumothorax . The length of aerated lung parenchyma crossed by a needle was found to be a significant variable (p = 0.001) for pneumothorax. There were 401 lesions in direct contact with the pleura. Of those, pneumothorax developed in only 10 (2%) patients. The pneumothorax rate increased with a longer distance between the lesion and pleural surface. Hence, it could be preferable to plan a needle trajectory to be as short as possible. However, there is still substantial conflict about the correlation of pneumothorax rate and length of intrapulmonary biopsy path in the literature . Some of the studies demonstrated that an increased intrapulmonary biopsy path could be associated with a higher rate of pneumothorax . As reported by Kinoshita et al. , a longer length of the aerated lung parenchyma crossed by needle could have a greater chance to tear lung parenchyma due to the spontaneous respiratory motion. In contrast, Yeow et al. demonstrated that subpleural lesions could be associated with a higher rate of pneumothorax than those farther from the pleura, due to shallow anchoring and needle dislodgement to the pleura. The needle manoeuvres could be more difficult for the deeper lesions. Consequently, more needle manoeuvres may be needed, which could result in pleural and parenchymal disruption. In our study, pneumothoraces (n = 10) developed in some lesions having contact with the pleura. This finding could be explained by the fact that the depth of lesion from the pleural surface was not gathered accurately due to the 5-mm slice thickness of our CT scanner, which might prevent a reliable estimation of pleura-lesion distance if less than 1 cm. There was also a significant correlation between the pneumothorax and severity of the emphysema around the lesion (p < 0.001). It was observed that the severity of emphysema around the lesion might increase the risk of pneumothorax two- to three-fold. Our data confirm that the degree of hyperinflation could be an adverse factor for the development of pneumothorax. The hyperinflation may indicate alveolar destruction. The disruption of these dilated alveoli could increase air leakage into the pleural space and could prevent rapid sealing of the damaged lung tissue. Consistent air leakage requiring chest tube placement may also be expounded by an increased airway pressure in the emphysematous lung tissue. Although the increased pneumothorax risk does not preclude the use of percutaneous needle biopsy, it may help us to be prepared for the potential risk of pneumothorax. In our study, lung function tests (LFTs) were not obtained before the biopsy, and instead we used a visual scoring on the CT slices. There are some reports using visual scoring on CT for the evaluation of the emphysema. In the study of Cox et al. the emphysema was assessed particularly around the lesion, and it was found that the emphysema was strongly correlated with the pneumothorax development. But in the study of Laurent et al. the severity of the emphysema around the lesion was graded visually on CT images without any correlation with the development of pneumothorax. We believe that the grading of the emphysema visually on CT slices around the lesion could be useful to predict the risk of pneumothorax development. Smaller lesion size was another significant risk factor for pneumothorax. There was a slight increase in the risk of pneumothorax with smaller lung lesions. The highest pneumothorax rate of 33% was seen in lung lesions less than 3 cm in diameter. This might be explained by more difficult needle redirections to target lung lesions. An increased needle manoeuvre to biopsy a small lesion may cause a greater risk of disrupting normal lung parenchyma with a higher pneumothorax rate. Our results showed no significant difference in procedure times between CT-CNBs complicated by pneumothoraces and those without pneumothoraces. Our findings correlated well with the study of Laurent et al. , which demonstrated no significant difference in procedure times between patients with or without pneumothorax. Procedure durations in our study were between 15 and 1140 seconds, but most were around 110-150 seconds. Longer procedure duration probably resulted from a larger number of pleural passes . Longer procedure duration was not correlated with increased pneumothorax rate in our series and thus should not influence the decision to acquire more biopsy samples. Some previous studies demonstrated that the level of operator experience did not affect the pneumothorax risk . In this study, we included all routine procedures that were performed by experienced thoracic radiologists as well as the biopsies that were utilised by senior and junior residents in our centre. The pneumothorax was developed in 30 (14%) of 218 procedures performed by a junior resident, and in 66 (16%) of 420 procedures performed by a senior resident. The rate of pneumothorax in procedures that were performed by a chest radiologist was 17% (31/184). In multi­variate analysis, no significant difference was found between the groups (p > 0.05). This result was contrary to the study of Yeow et al. , which demonstrated a significant correlation between the experience level of the operator and pneumothorax rate. However, the chest tube placement rate was significantly lower in procedures performed by a chest radiologist (p < 0.001). This finding could be explained partly by a lower needle movement in procedures performed by an experienced radiologist, which might be related to decreased lung tissue damage. Recently, some investigators applied the coaxial technique for CT-CNBs . In our study, we did not adopt the coaxial technique. Therefore, the number of punctures could directly affect the pneumothorax and chest tube placement rate. In addition, we did not find any correlation between the pneumothorax or chest tube placement rate with regard to needle entry angle. This finding apparently conflicted with the results obtained by Saji et al. and Ko et al. , who reported an increased pneumothorax rate in procedures with a needle pleural angle < 80°. There was some limitation in this study. This study was a retrospective with an unknown bias. The pulmonary function tests were not performed routinely before the procedures. We also obtained the procedure duration instead of the dwell time. Acquiring the dwell time instead of the procedure duration may change the result in regard to pneumothorax and chest tube placement risk. Despite some limitations, we believe our data could be used to prevent some potential complications in cutting-needle biopsies. We believe that the prone position during the procedure and puncture-site-down position in the follow-up period are appropriate to decrease the pneumothorax rate. The needle path that crosses a fissure and a path that skips the atelectasis or a pleural tag may provide a “protective effect” for the development of clinically significant post-biopsy pneumothorax. 1. Mathers C. The global burden of disease: 2004 update. World Health Organization, Geneva 2008. 2. Boskovic T, Stanic J, Pena-Karan S, et al. Pneumothorax after transthoracic needle biopsy of lung lesions under CT guidance. J Thorac Dis 2014; 6: S99. 3. Wu CC, Maher MM, Shepard JA. Complications of CT-guided percutaneous needle biopsy of the chest: prevention and management. AJR Am J Roentgenol 2011; 196: 678-682. 4. Covey AM, Gandhi R, Brody LA, et al. Factors associated with pneumothorax and pneumothorax requiring treatment after percutaneous lung biopsy in 443 consecutive patients. J Vasc Interv Radiol 2004; 15: 479-483. 5. Hiraki T, Mimura H, Gobara H, et al. Incidence of and risk factors for pneumothorax and chest tube placement after CT fluoroscopy-guided percutaneous lung biopsy: retrospective analysis of the procedures conducted over a 9-year period. AJR Am J Roentgenol 2010; 194: 809-814. 6. Asai N, Kawamura Y, Yamazaki I, et al. Is emphysema a risk factor for pneumothorax in CT-guided lung biopsy? SpringerPlus 2013; 2: 196. 7. Heerink WJ, de Bock GH, de Jonge GJ, et al. Complication rates of CT-guided transthoracic lung biopsy: meta-analysis. Eur Radiol 2017; 27: 138-148. 8. Goddard PR, Nicholson EU, Laszlo G, et al. Computed tomography in pulmonary emphysema. Clin Radiol 1982; 33: 379-387. 9. Birchard KR. Transthoracic needle biopsy. Semin Intervent Radiol 2011; 28: 87-97. 10. Takeshita J, Masago K, Kato R, et al. CT-guided fine-needle aspiration and core needle biopsies of pulmonary lesions: a single-center experience with 750 biopsies in Japan. AJR Am J Roentgenol 2015; 204: 29-34. 11. Khan MF, Straub R, Moghaddam SR, et al. Variables affecting the risk of pneumothorax and intrapulmonal hemorrhage in CT-guided transthoracic biopsy. Eur Radiol 2008; 18: 1356-1363. 12. Topal U, Ediz B. Transthoracic needle biopsy: factors effecting risk of pneumothorax. Eur J Radiol 2003; 48: 263-267. 13. Ko JP, Shepard JA, Drucker EA, et al. Factors influencing pneumothorax rate at lung biopsy: are dwell time and angle of pleural puncture contributing factors? Radiology 2001; 218: 491-496. 14. Dellinger RP, Francois D, Savage PJ, et al. Effect of patient positioning on pneumothorax rate following fine needle lung aspiration (letter). Am Rev Respir Dis 1983; 28: 210. 15. Moore EH, LeBlanc J, Montesi SA, et al. Effect of patient positioning after needle aspiration lung biopsy. Radiology 1991; 181: 385-387. 16. Miller KS, Fish GB, Stanley JH, et al. Prediction of pneumothorax rate in percutaneous needle aspiration of the lung. Chest 1988; 93: 742-745. 17. Yankelevitz DF, Vazquez M, Henschke CI. Special techniques in transthoracic needle biopsy of pulmonary nodules. Radiol Clin North Am 2000; 38: 267-279. 18. Kazerooni EA, Lim FT, Mikhail A, et al. Risk of pneumothorax in CT-guided transthoracic needle aspiration biopsy of the lung. Radiology 1996; 198: 371-375. 19. Kinoshita F, Kato T, Sugiura K, et al. CT-guided transthoracic needle biopsy using a puncture site-down positioning technique. AJR Am J Roentgenol 2006; 187: 926-932. 20. Yeow KM, Su IH, Pan KT, et al. Risk factors of pneumothorax and bleeding: multivariate analysis of 660 CT-guided coaxial cutting needle lung biopsies. Chest 2004; 126: 748-754. 21. Cox JE, Chiles C, McManus CM, et al. Transthoracic needle aspiration biopsy: variables that affect risk of pneumothorax. Radiology 1999; 212: 165-168. 22. Laurent F, Latrabe V, Vergier B, et al. CT-guided transthoracic needle biopsy of pulmonary nodules smaller than 20mm: results with an automated 20-gauge coaxial cutting needle. Clin Radiol 2000; 55: 281-287. 23. Lim CS, Tan LE, Wang JY, et al. Risk factors of pneumothorax after CT-guided coaxial cutting needle lung biopsy through aerated versus nonaerated lung. J Vasc Interv Radiol 2014; 25: 1209-1217. 24. Saji H, Nakamura H, Tsuchida T, et al. The incidence and the risk of pneumothorax and chest tube placement after percutaneous CT-guided lung biopsy: the angle of needle trajectory is a novel predictor. Chest 2002; 121: 1521-1526.